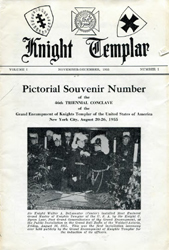 MAKE AVAILABLE COPIES of ALL Knight Templar Magazines. CLICK on Prepared by S.K. George L. Marshall Jr.